White, simple yet elegant serving bowl, made from sugarcane bagasse. 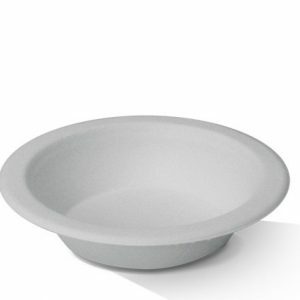 GreenMark offers leak and oil proof bowls in a variety of sizes from small testing bowls to soup and salad ones. Made from sugarcane, all natural and non-toxic, biodegradable and compostable. Food safe. Microwavable (warm up only). Refrigerator safe. ISO 9001 and ISO 14000 certified. 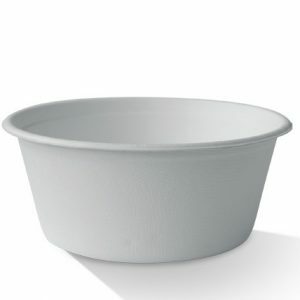 16oz serving bowl, made from sugarcane bagasse. 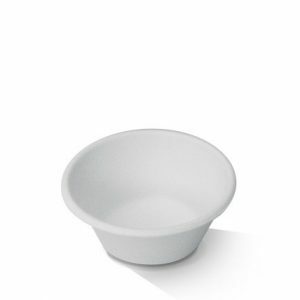 GreenMark offers leak and oil proof bowls in a variety of sizes from small testing bowls to soup and salad ones. Made from sugarcane, all natural and non-toxic, biodegradable and compostable. Available with fitting lids. Food safe. Microwavable (warm up only). Refrigerator safe. ISO 9001 and ISO 14000 certified. Unique and beautiful product, very elegant shape to suit variety of dishes. Made from unbleached bamboo pulp. Natural look and feel. 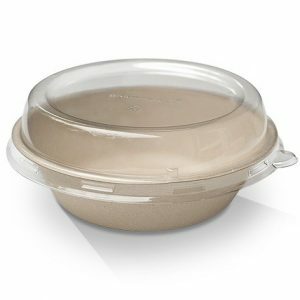 GreenMark plates, bowls and takeaway containers give customers a strong, sturdy and sustainable solution for all their dining needs. Oils and liquids will not soak through. Round bowl made from unbleached bamboo pulp. 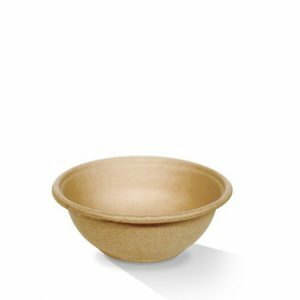 Serve soups, noodles or salads in these eco-chic bowls! Natural look and feel. 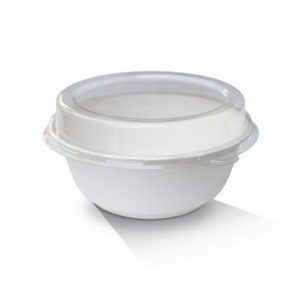 GreenMark plates, bowls and takeaway containers give customers a strong, sturdy and sustainable solution for all their dining needs. Oils and liquids will not soak through. 32oz round bowl made from unbleached bamboo pulp. 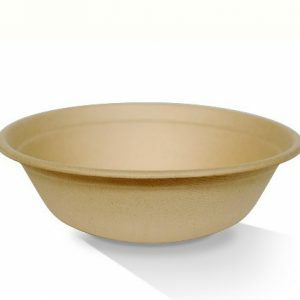 Serve soups, noodles or salads in these eco-chic bowls! Natural look and feel. 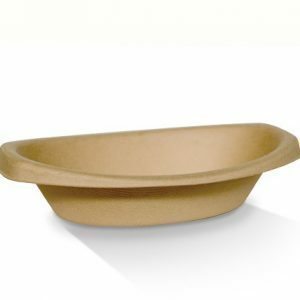 GreenMark plates, bowls and takeaway containers give customers a strong, sturdy and sustainable solution for all their dining needs. Oils and liquids will not soak through. 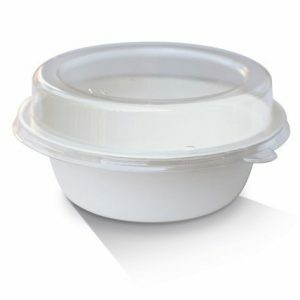 Greenmark disposable takeaway bowls are great for serving hot and cold dishes – from soup and noodles to fruit salads. 100% natural sugarcane, no plastic, biodegradable and compostable. Variety of lids available, they are sold separately. Natural and non-toxic, bamboo fiber is breathable, helping to keep food fresher for longer. Food safe. Stackable containers are strong and durable. Leak and oil proof. Microwavable (warm up only). Refrigerator safe. ISO 9001 and ISO 14000 certified. Fitted lid for 40oz bowls, made from bamboo pulp. Natural and non-toxic, bamboo fiber is breathable, helping to keep food fresher for longer. Food safe. Leak and oil proof. Microwavable (warm up only). Refrigerator safe. ISO 9001 and ISO 14000 certified. Small round bowl made from unbleached bamboo pulp. 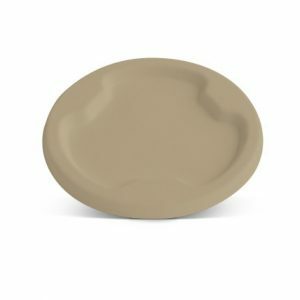 Great for sauces, dips and gravys. Eco-chic, natural look and feel! 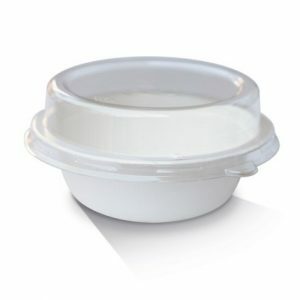 GreenMark plates, bowls and takeaway containers give customers a strong, sturdy and sustainable solution for all their dining needs. Oils and liquids will not soak through. 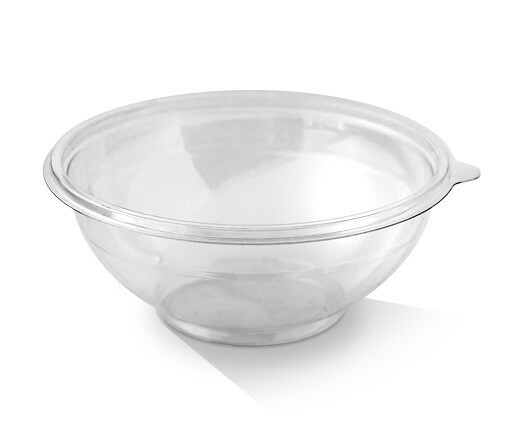 Small serving bowl, good for side salad or desserts. 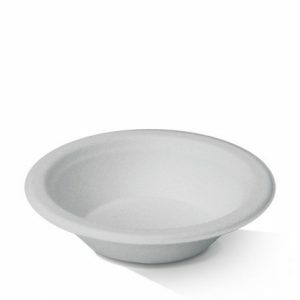 GreenMark offers leak and oil proof bowls in a variety of sizes from small testing bowls to soup and salad ones. Made from sugarcane, all natural and non-toxic, biodegradable and compostable. Food safe. Microwavable (warm up only). Refrigerator safe. ISO 9001 and ISO 14000 certified.